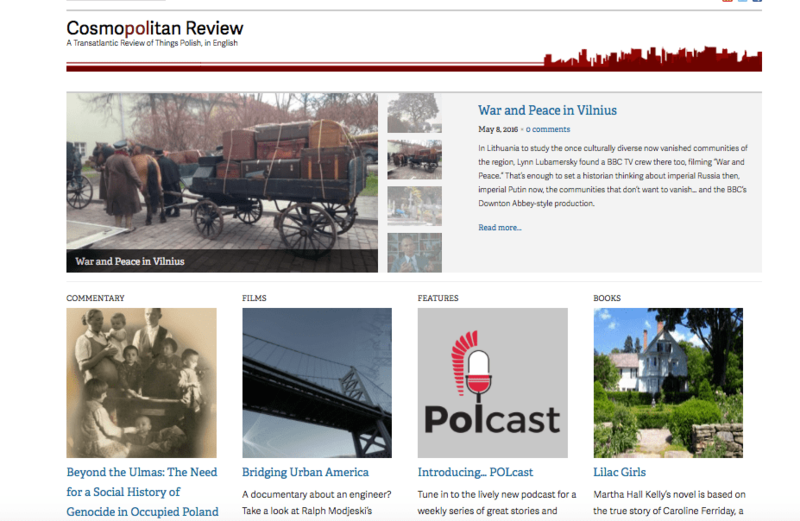 Cosmopolitan Review (CR) is an online journal focused on issues of social, cultural and historical interest by English-speaking writers for English-speaking readers throughout the worldwide Polish diaspora. Established in 2008, cosmopolitanreview.com was proposed by Poland in the Rockies (PitR) alumna, Kinia Adamczyk, as a newsletter for PitR alumni. It quickly evolved into a general interest review, its first edition produced by Kinia, Irene Tomaszewski and Judith Browne with the generous support of webmasters Antoni and Jan and financial support from Friends of PitR. CR’s audience includes readers in 56 countries, the largest number in the United States, Canada, the UK and Poland.